We can help you take the next step in living life. Struggling with depression, anger, or anxiety? Feel like no one understands what you go through? Is a loved one struggling, and you can't live your life to the fullest because of it? If so, we invite you to join us in recovery from life's hurts, habits, and hang-ups. This group meets every Monday at 7:00 p.m. in the Chapel at the Brighton Nazarene Church. For information contact Pastor Tim at 810-227-6600, or email him at timwessel@sbcglobal.net. Is a group of women seeking healing from the effects of sexual abuse, that is held at the Brighton Nazarene Church. This is considered a closed group to respect privacy; therefore, a short phone consultation is necessary prior to joining. Brochures are available at the Celebrate Recovery table in the church foyer. For more information, or to sign up, please call Lisa Maher at 810-533-6318, or Jessica Latson at 517-673-6543. All calls are held in strict confidence. Do You Know of More Group Resources? Our staff can begin helping you immediately to begin living the life you truly desire. For maps and directions to our Ann Arbor, Brighton and Livonia offices please go to the Office Locations page on this website or call us at 810-923-5760. To send us an email go to the Contact Us page on this website and complete the Contact Us email submission form. Living Life is proud to be providing Christian counseling to the many communities in Southeast Michigan including Ann Arbor, Brighton, Canton, Dearborn, Detroit, Dexter, Fowlerville, Farmington, Farmington Hills, Hartland, Howell, Livonia, Milford, Northville, Novi, Pinckney, Plymouth, Salem, Saline, South Lyon, Southfield, Superior, Walled Lake, Wayne, West Bloomfield, Westland, Whitmore Lake, Wixom, Livingston County, Oakland County, Washtenaw County, and Wayne County. 794 W. Grand River Ave.
We can help you live the life you always wanted. How do you approach living life? 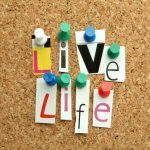 How do you approach living life? With spring here and summer approaching, begin looking at new ways to approach living life. Is it time to look at what is preventing you from living life with joy? It is time to look at your resolutions for the new year. Is it time for you to make a relationship resolution and look at areas in your marriage that need some TLC? The holidays are full of cheer—for many. For others, especially those dealing with the loss of a loved one, the season is far from jolly.